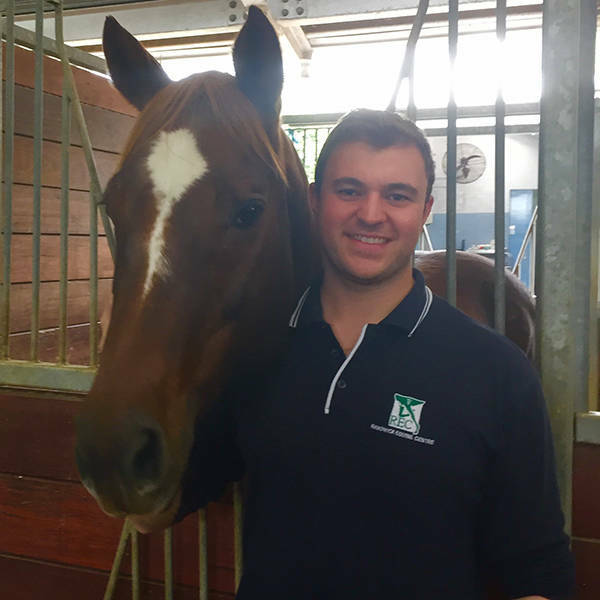 "Originally from England, I've been working as a vet in Randwick for two years. I would be a great candidate for the new Bondi vet as I have the best job, fantastic patients and loyal clients. I'm making the most of the amazing lifestyle I have here!" Tom has been caring for my injured horse for many weeks. His friendly nature and expertise would make him a great Bondi Vet. Pic is of him attending my horse this week. Tom saw practice with me in UK. We would go on calls together and I'd make him hold my stuff and do the heavy work! Always polite and happy, He's a great vet and friend. Tom has taken his lifetime ambition and turned it into a career which he clearly loves. Not only that he has moved and settled into a new country where he is making the most of the all the wonderful opportunities that have come his way. Go Dr Tom! Tom has wanted to be a Vet since he was a little boy he has never wavered from his ambition and his commitment and determination are second to none. As Grandparents we are extremely proud of him. I have worked with many vets in the ten years I have been working with Eire Hide. I count 5 vets in that time that stand out with distinction, Tom being one o them. A stirling chap and deserving o the accolades so freely and warmly given. Tom is a very caring person, great with people, caring and sympathetic with horses and all animals, and is a fabulous vet.... he would be a brilliant Bondivet. Can't think of anyone better for this! Tom is a super vet and all round top bloke.